Crossing Jordan starred Jill Hennessey as 'Jordan Cavanaugh, M.D. 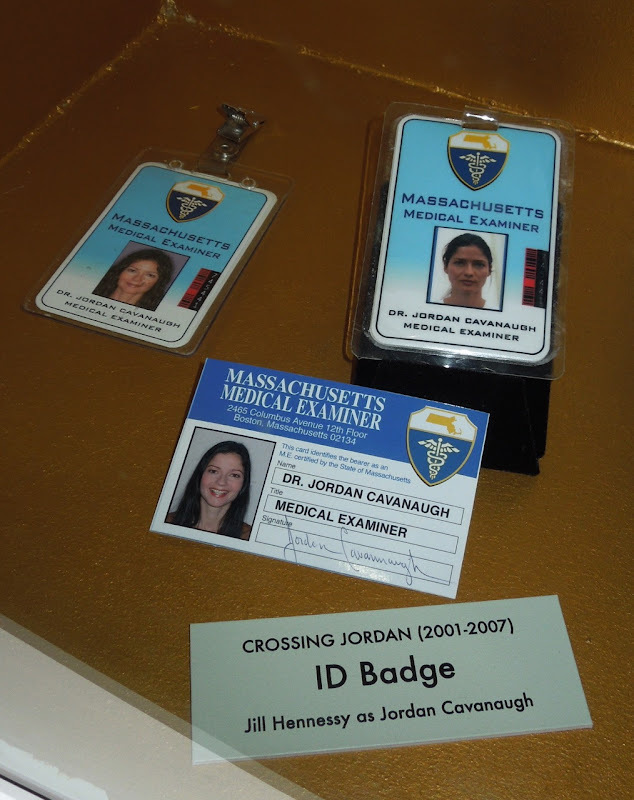 ', a beautiful crime-solving forensic pathologist in Massachusetts. 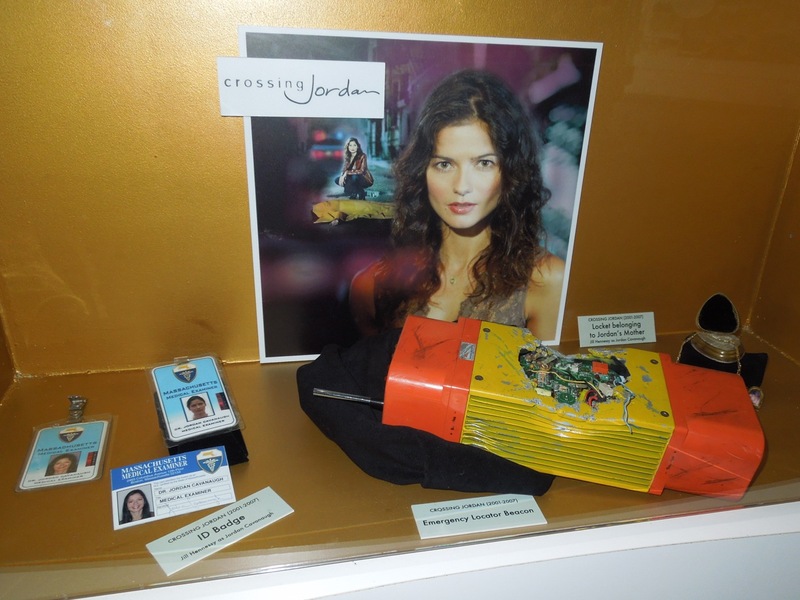 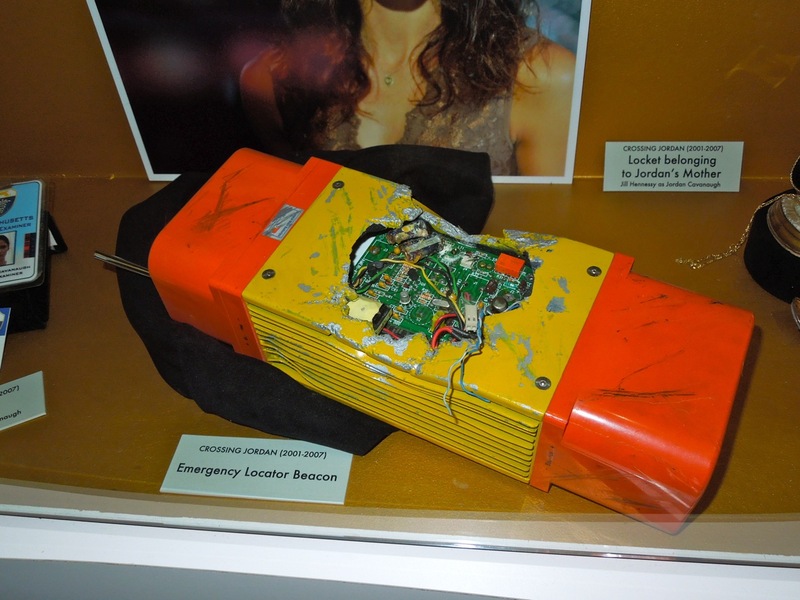 These props from the series that ran for six seasons on NBC from 2001 to 2007, were photographed on display at the NBC Universal Experience exhibit at Universal Studios Hollywood on April 26, 2012. 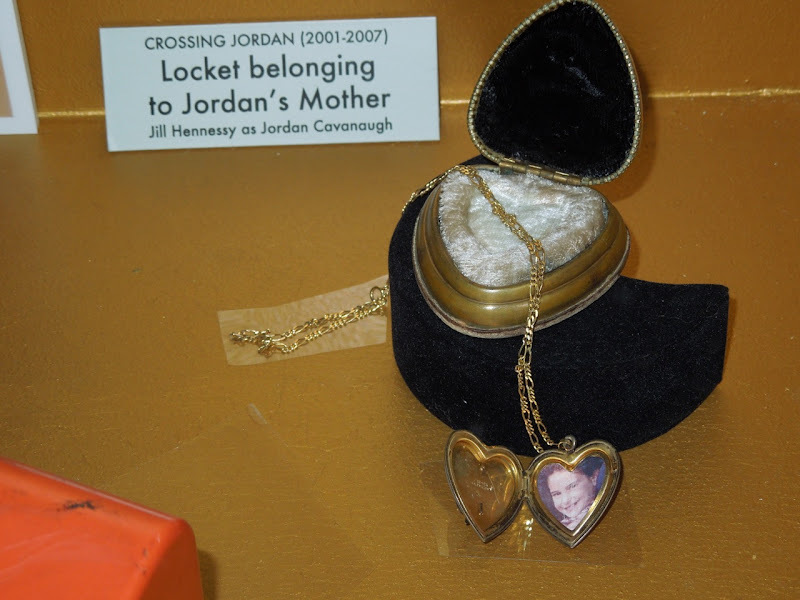 Apparently Jordan was emotionally scarred by her mother's murder when she was a child, hence the significance of this locket prop.